Getting a new puppy is an exciting time in a household. The sweet little face that you have picked out is going to be with you for years, and you want to start out on the best note possible. You already have a crate to bring the pup home in and probably a few toys as well, which is a great way to make a new dog feel at ease. The first 30 days are filled with excitement and learning for your new canine and starting to build trust from day one will make things flow smoothly in the months to come. Building trust with a dog is easiest when the are still puppies, and you can start the moment your new furball gets home. First, start with building a potty routine for your new canine. Before you bring them into the house, let the puppy spend a bit of time outside and once he/she has gone to the bathroom, praise them. Making time first thing in the morning and just before bedtime is the perfect way to build a daily routine and a potty time ritual for your new puppy. Puppies often need more bathroom breaks because they do not have a developed bladder yet, so after playtime, make sure you take your puppy outside for a bathroom break. Now it is time to bring them inside and let them see their new home. Find a spot on the floor or the sofa and give your puppy some undivided attention. Get your puppy used to you touching his ears, tummy, tail, and paws. Doing this will build trust between you and your new dog. Try using an essential massage oil, just make sure that you take cues from your puppy. If they back away from the scent, give them another option. You will find a scent that your puppy likes, and he/she will be rewarded with a bonding massage. Check what type of food your puppy was being fed before you bring them home and have that type of food available for them. Puppies have sensitive tummies, and you do not want to change their food quickly. If you decide to change their food, start by adding a little bit of the new food into the food they are used to. This will give your puppy the time they require to adjust to new food. You can also add Wild Salmon Oil to their wet or dry food to give them necessary DHA to help with brain development, give them a soft, healthy coat, and help build their immune system. Also, try hand feeding a bit of kibble to your puppy every day. Hand feeding can help prevent food aggression and will teach them to take things nicely from your hand without the nips or bites. 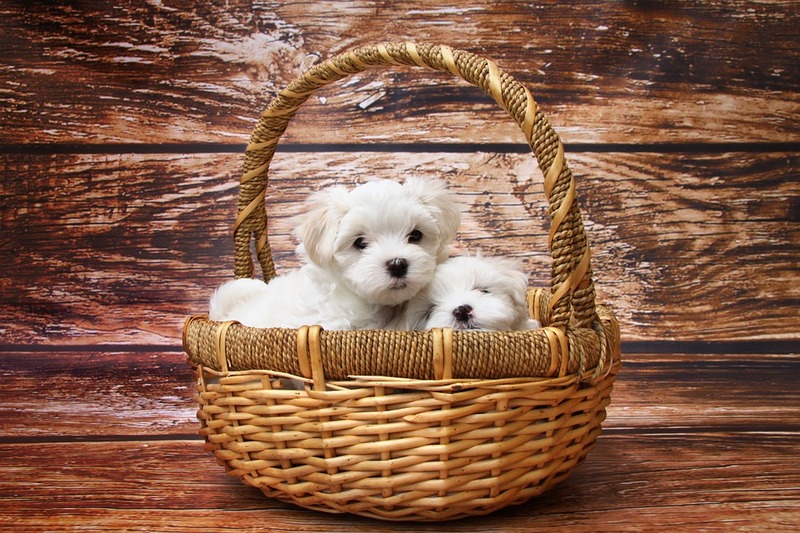 Puppies are like newborn children and will need a lot of your attention. If you take the time to build a routine for your new furry friend as well as build trust between you, your new puppy is going to have a head start on making your home feel like their own. Let everyone in the household get involved with daily routines and playtime as well as feeding time for the best outcome. Happy Puppy Parenting!